Originally from Birmingham, England, he is a distinguished expert in high-performance computing. He is a Professor in the Applied Mathematics and Statistics department and founding Director of the Institute for Advanced Computational Science at Stony Brook University in New York with a $20M endowment. Through a joint appointment with Brookhaven National Laboratory, Professor Harrison has also been named Director of the Computational Science Center and New York Center for Computational Sciences at Brookhaven National Laboratory. Prior to Stony Brook he was at the University of Tennessee and Oak Ridge National Laboratory (ORNL), where he was Director of the Joint Institute of Computational Science (JICS), Professor of Chemistry and Corporate Fellow. He has a prolific career in high-performance computing with over one hundred publications on the subject, as well as extensive service on national advisory committees. His undergraduate (1981) and post-graduate (1984) degrees were obtained at Cambridge University, England. Subsequently, he worked as a postdoctoral research Fellow at the Quantum Theory Project, University of Florida, and the Daresbury Laboratory, England, before joining the staff of the Theoretical Chemistry group at Argonne National Laboratory near Lemont, IL, outside Chicago in 1988. 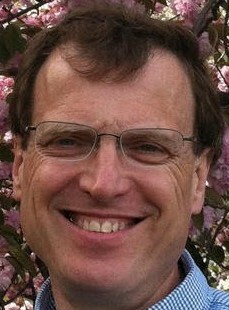 In 1992, he moved to the Environmental Molecular Sciences Laboratory of Pacific Northwest National Laboratory in Richland, Washington where he conducted research in theoretical chemistry and leading the development of and was the principal architect of the Northwest Computational Chemistry Software (NWChem), a computational chemistry code for massively parallel computers. In quantum chemistry there are a number of computational packages, ranging from the pioneering effort called "GAUSSIAN," to more recent commercial packages designed to run on small clusters of workstations. NWChem is the first largescale effort to produce such a code, and the attendant algorithms, specifically for massively parallel computers. In August 2002, he began the joint faculty appointment with UT/ORNL, and became Director of JICS in 2011. In addition to his DOE Scientific Discovery through Advanced Computing (SciDAC) research into efficient and accurate calculations on large systems, he has been pursuing applications in molecular electronics and chemistry at the nanoscale. In 1999, the NWChem team received an R&D Magazine, R&D100 Award; and in 2002, he received the IEEE Computer Society Sidney Fernbach Award, "For ingenious, sustained contributions that have advanced and shaped the frontiers of high performance computers, which lead to widely used industry products". In 2011 he received another R&D Magazine, R&D100 award for the development of MADNESS (Multiresolution Adaptive Numerical Environment for Scientific Simulation), a high-level software environment for the solution of integral and differential equations in many dimensions using adaptive and fast harmonic analysis methods with guaranteed precision based on multiresolution analysis and separated representations. His interests and expertise are in theoretical and computational chemistry, high-performance computing, electron correlation, electron transport, relativistic chemistry, and response theory. He has authored or co-authored many publications in peer-reviewed journals in the areas of theoretical and computational chemistry, and high-performance computing; the latest of which are: with Gregory Beylkin, George Fann, Christopher Kurcz, and Lucas Monzón, (2012), "Multiresolution representation of operators with boundary conditions on simple domains", Applied and Computational Harmonic Analysis 33: 109, doi:10.1016/j.acha.2011.10.001; and with Akila Gothandaraman, Gregory D. Peterson, G.L.Warren, and Robert J.Hinde, (2008). "FPGA acceleration of a quantum Monte Carlo application". Parallel Computing 34 (4–5): 278. doi:10.1016/j.parco.2008.01.009.